Our newest addition to the collection is the popular buckled ankle strap. It makes the clog very secure on your foot and look GREAT! 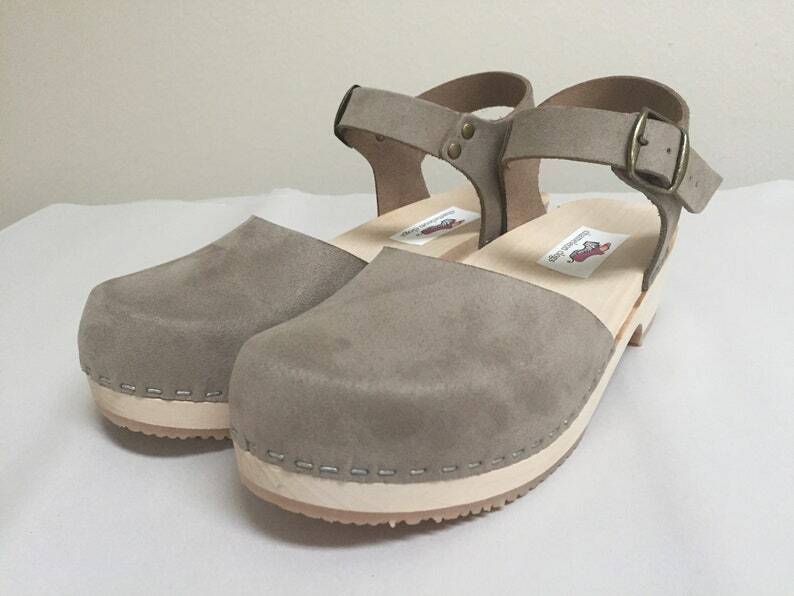 This design is in A fabric coated suede leather on a Natural wooden Low heel and a BRONZE, BLACK OR SILVER buckle. Available in sizes 35-42 american 6-11 please specify american size needed in notes to seller at checkout.